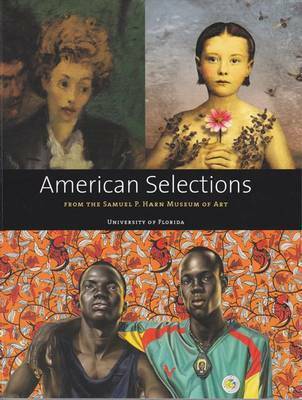 In advance of celebrating its twentieth anniversary, the Samuel P. Harn Museum of Art presents this beautiful catalog of highlights of American art drawn from its permanent collection. Each work is represented by a full-page photograph and an accompanying description that places the piece and its creator in artistic and historical context. ""American Selections"" features eighty-eight works selected from the 2,490 American works in the museum's modern, contemporary, photography, and works on paper collections. The artists represented include Diane Arbus, Georgia O'Keeffe, Childe Hassam, Andy Warhol (the only artist included in the book twice), and many others, both well known and emerging. American painting of the first half of the twentieth century was one of the core collections when the Harn Museum opened its doors in 1990. In the two decades since, the American holdings have been greatly expanded, particularly with paintings, drawings, installations, and photographs from the second half of the century, thanks to the generosity of many donors. Dulce Maria Roman is curator of modern art, Kerry Oliver-Smith is curator of contemporary art, and Thomas W. Southall is curator of photography at the Samuel P. Harn Museum of Art. Each has individually curated numerous exhibitions and created accompanying catalogs.